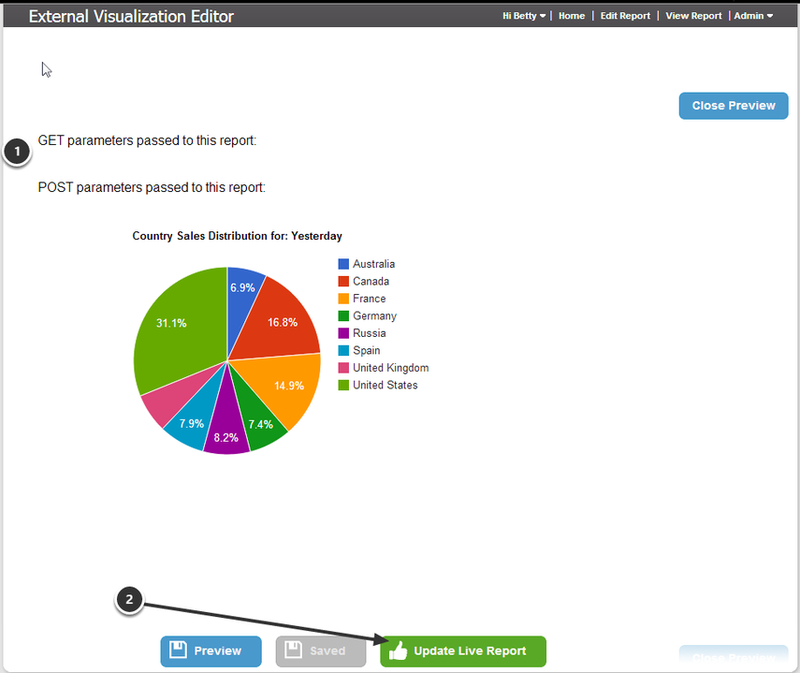 External Visualization is one of the report's components that visualizes information from external sources. 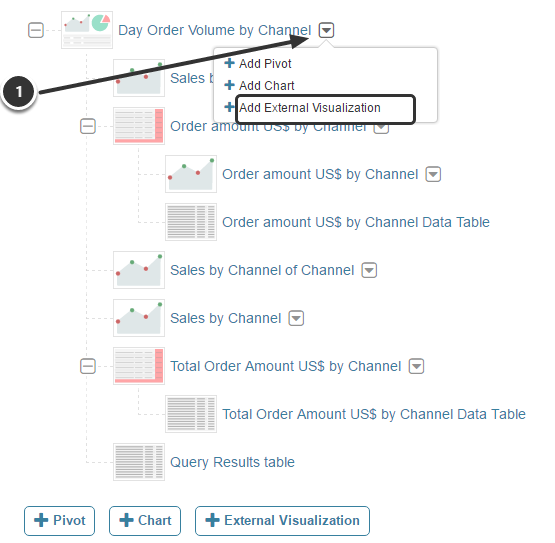 It is an easy way to include charts using links to the other objects. 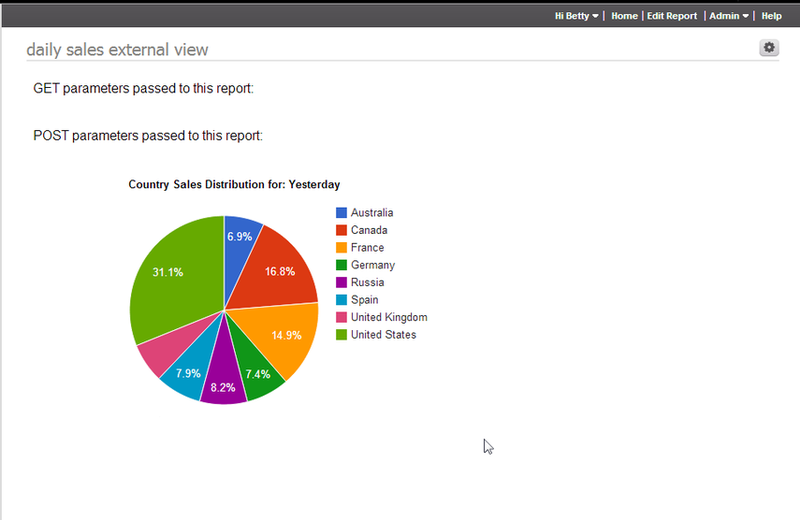 You can adjust the width and height of the External Image that displays in the Report Viewer. 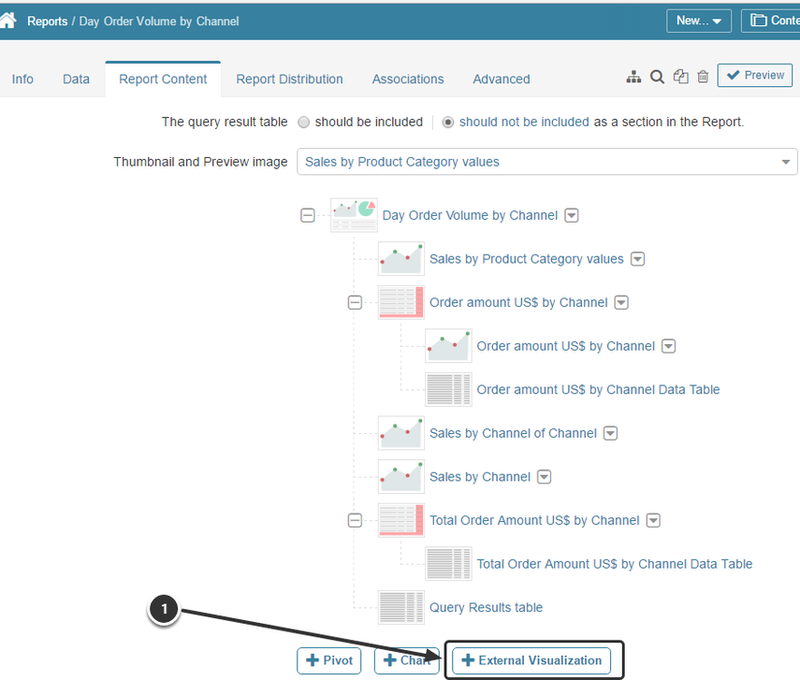 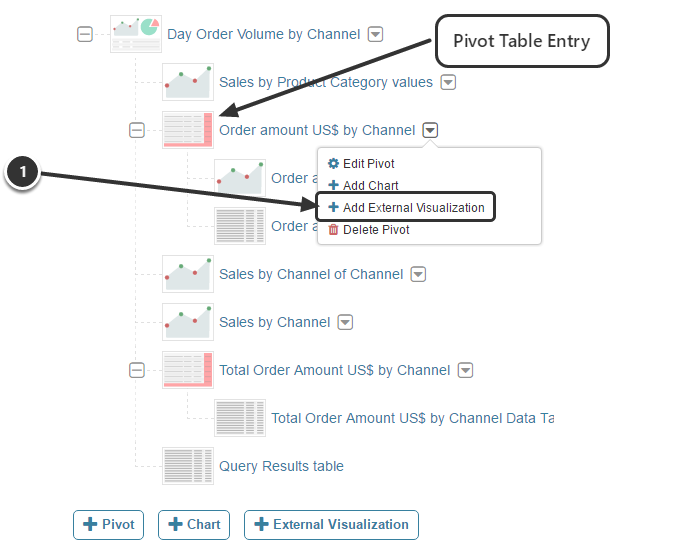 Use one of the methods described below to create External Visualization component.